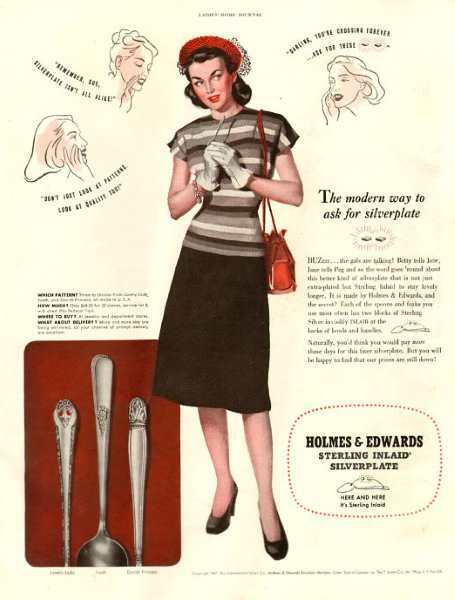 The Holmes & Edwards Silver Co began its activity in 1882 succeeding to Rogers & Brittin. 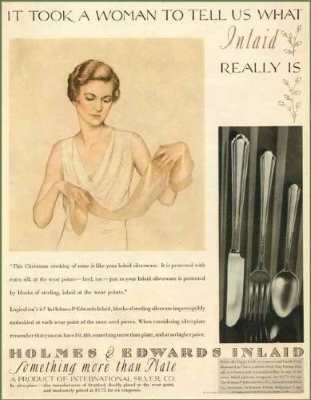 The initial business was the production of low priced plated flatware using its own blanks or simply plating blanks of other manufacturers. 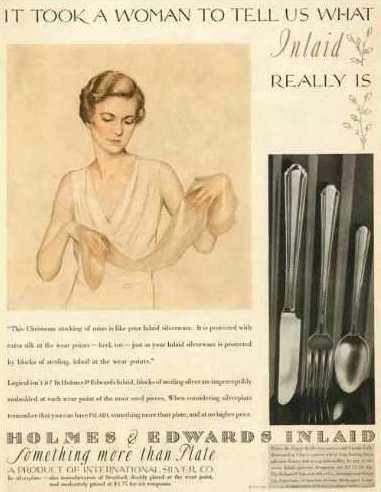 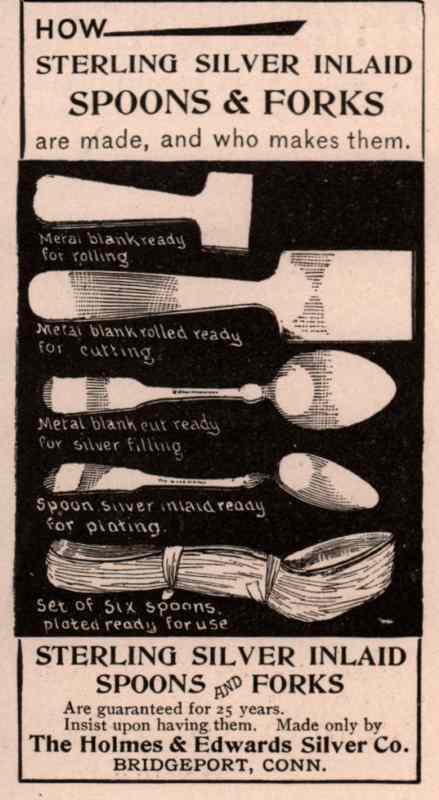 The qualitative leap in Holmes & Edwards production occurred with the acquisition of the invention patents obtained by William A. Warner of Syracuse for a technique of inlaying blocks of sterling silver at the wear points on the back of spoons and forks prior to plating them. 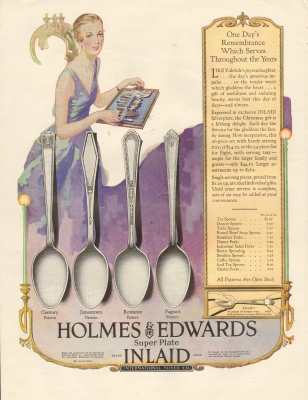 Warner went to work for Holmes & Edwards and his patents (December 9, 1884 and March 2, 1886) brought to the firm a gold medal at the Columbian Exposition in 1893 and a prominent place in silverplate industry. 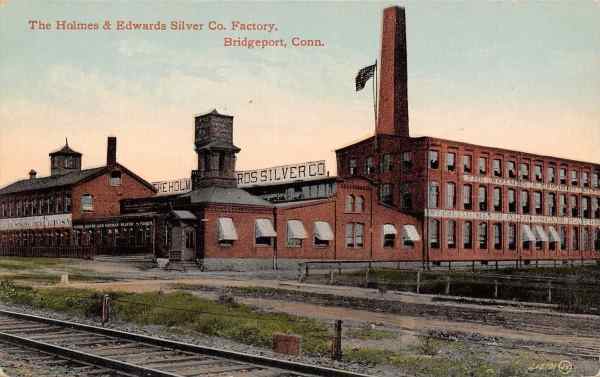 The Holmes & Edwards plant was taken over in 1898 by the International Silver Company, continuing to operate in Bridgeport until 1931 when it moved to Meriden. 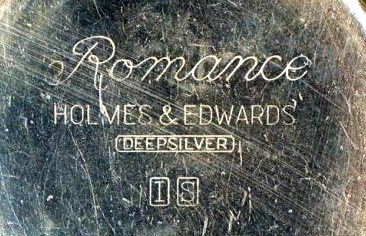 In 1956 the trademark "SILVER INLAID" was changed to "HOLMES & EDWARDS DEEPSILVER" and in 1960 to "INTERNATIONAL DEEPSILVER". 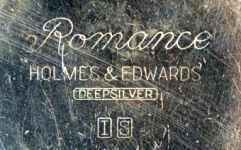 Silver inlaid production was discontinued in 1972 and later marketed by Wallace International Silversmiths Inc.
Trade marks used by Holmes & Edwards: STRATFORD SILVER CO, ORIENTAL MEXICAN CRAIG, HESCO, VIANDE, AZTEC COIN METAL.